Hot sun, white sand, clear green waters…it’s no wonder people travel from around the world to visit beautiful Key West. And once you see those picture-perfect waters, you’ll be tempted to travel far past the shoreline. 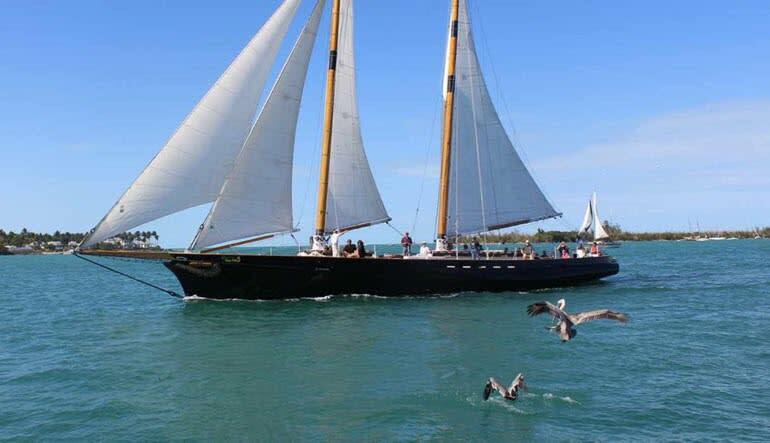 This classic Key West day sail lets you do just that! 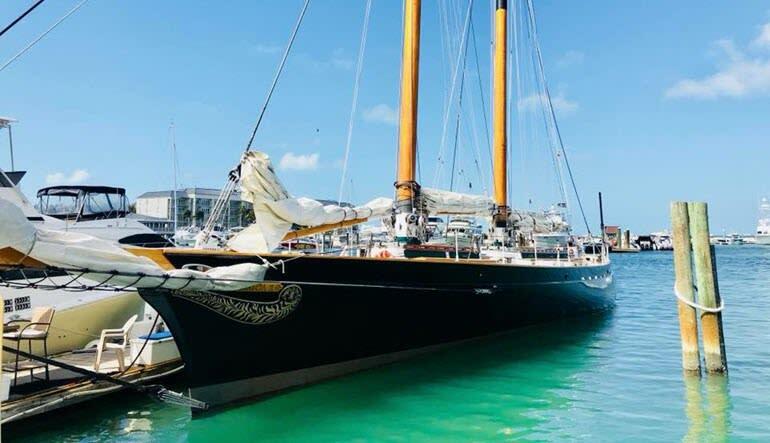 Modelled after the first winner of the prestigious America’s Cup, a 105-foot schooner combines the classic style of nineteenth-century shipbuilding with modern amenities and ample seating. 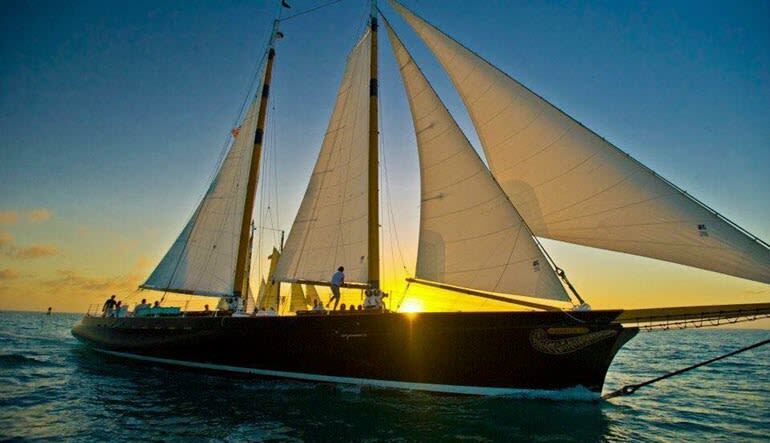 Get the perfect Key West sailing experience! Glide smoothly across the turquoise waters for a full two hours! See famous landmarks like the Sand Key lighthouse and Fort Zachary Taylor. Experience the beauty of this delicate marine environment. Keep your eyes peeled for wildlife such as sea turtles and dolphins. Bring your own picnic and enjoy complementary beer, wine, champagne and soft drinks. Enjoy the world-class hospitality of the friendly captain and crew. This day sailing adventure is the highlight of any visit to Key West. Experience first-hand the unbelievable beauty of the southernmost point in the continental US!